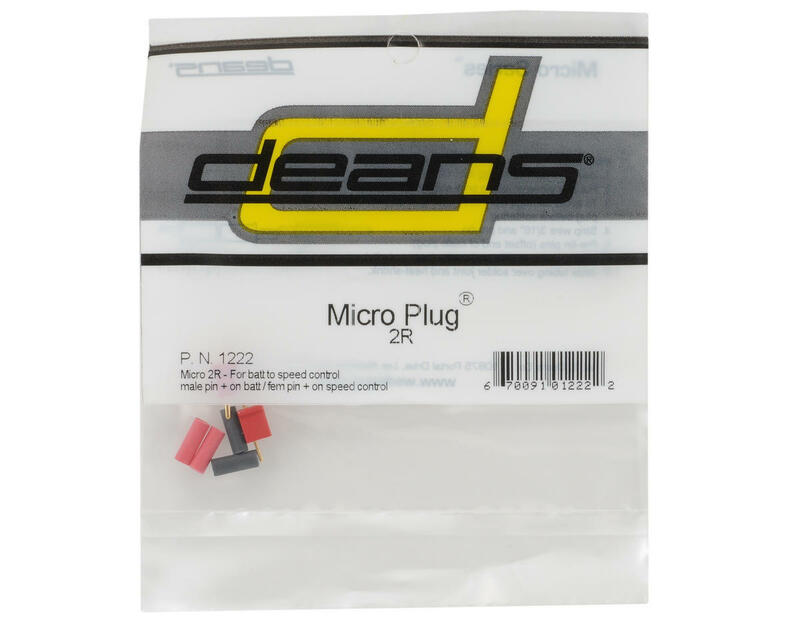 This is a pair of Deans red two pin Micro Plug polarized connectors. 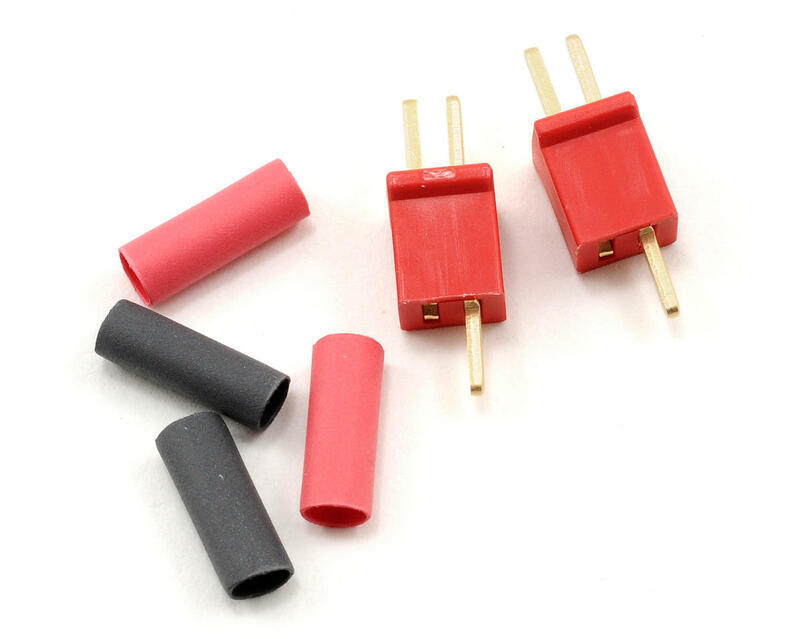 These make great connectors for speed controls for micro cars and planes as well as receiver packs. Includes red and black heat shrink tubing. These are good for micro rc vehicles. Also good for motor and battery wiring in micro rc cars.